Produced entirely from grapes grown in the hot sun of Salento, bottled at source and in the production area, the organic wines of Tenute Cerfeda Dell’Elba are born from an act of love. Love for quality, love for genuineness, love for wisdom of an ancient land, where the wine is first of all nourishment for the body and for the spirit. It's because all our wines are vinified using only plant-derived substances, according to the inspiratory principles of holistic agriculture, that over time defends biodiversity and preserves a sustainable vital space for men, animals and plants. An attention to quality that is found in bright colors, as well as floral and citrus notes of wines that offers to those who drink a taste and a pleasure. Fresh cut is velvety on the palate. The D.O.P., D.O.C.G. and I.G.P. wines are certified Bio and Biovegan from ICEA and Bio Suisse from International Certification Bio Suisse AG. The 10% of about of 40 hectares of vineyards is bound to surfaces to increase biodiversity. The wines of Tenute Cerfeda Dell‘Elba are produced and bottled in Puglia, spur of the boot of Italy and “land where the land ends“. Its landscape extends over 300 km, along the Adriatic coast and to the Ionian Sea. Thanks to its geographical location, the flat coastal landscape and the warm climate, that Since ancient times the region has encouraged human settlement, trade and cultural exchange, becoming one of the oldest wine. This land of red earth,fertile,and it is mainly composed of limestone, clay, sand and tuff which covers an area of about 40 hectares among vineyards and olive groves. Spanning over an area of more than 245.000 acres, Apulia is the most prolific wine region of Southern Italy and its vine varieties are mainly local. For this reason, and due to the fact that it produces more wine than any other Italian region, Apulia is called "Italy's wine cellar". The first supporting material about such an extraordinary grape dates back to the second half of the Seventeenth Century, when Don Francesco Filippo Indellicati - abbot of Gioia del Colle - noticed a dark, sweet and tasty vine variety which matured before any other grape and could be harvested by August. Indellicati selected the variety and renamed it "Primitivo", a word derived from Latin "primitivus" (i.e. "first", "primordial"). Its name derives from "Apianum", because it's a grape most loved by bees for its amazing sweetness. Mostly renowned in Irpinia, where it gives rise to the Fiano from Avellino, the presence of this little egg-shaped grape is testified in the great majority of Southern Italy ever since the second half of the Eighteenth Century, especially in Apulia, from Lecce's hinterland up to Bari. Originating from Croatia and widespread also in California, where it's known as Zinfandel, this vine variety owes its name to a precocious life cycle. A very vigorous grape, it's grown in form of small tree or spurred cordon. Some quotes from very special wine lovers! If you take wine away, love will die, and every other source of human joy will follow. I'm always ready to a new idea and an ancient wine. The full product is bottled at the origin, in Salento. The wines of the Tenute Cerfeda Dell’Elba line are wines certified by ICEA and International Certification Bio Suisse AG as wines Bio and Biovegan. The wines of the Mandurino line are wines certified by ICEA and International Certification Bio Suisse AG as wines Bio, Biovegan and Bio Suisse. 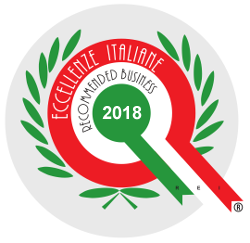 All our wines are listed in the Italian Excellences Register. Silver Medal to Mandurino Primitivo di Manduria DOP 2012 - "Organic Wines" Category. Los Angeles International Wine Competition. Masseria Vecchia Primitivo di Manduria DOP 2013 awarded by Tirsomedia, the most well-known experts in the field, for its selection of wines delights. Second Place Winner to Masseria Vecchia 2013 - Primitivo di Manduria DOP - "Organic Wines" Category - International Committee. Mandurino Primitivo di Manduria DOP 2012 First Place Winner in the "Organic Wines" Category. Mandurino Salento Rosato Primitivo IGP 2013 awarded (Second Place) for its matching to different dishes. 4 stars awarded by the Touring Club Wine Book, focused on native grape varieties. A selection of wines delights from Tirsomedia, and the most well-known experts in the field.